There have been a lot of apps lately that have modernized the world for good. These apps help the public to cut short the time period spent on a particular task. Bus ticket booking app is one such of those apps. When you are looking to go somewhere, it is obvious that you will have to spend time shopping, packing important stuff and this will acquire a lot of your time. Amongst all this chaos, you will also have to book your journey ticket. Bus ticket booking app here will play a major role in saving you important time while preparing for the journey. You can open the app and from there on with easy instructions, you can book your tickets without having to go to the station. How cool is that! 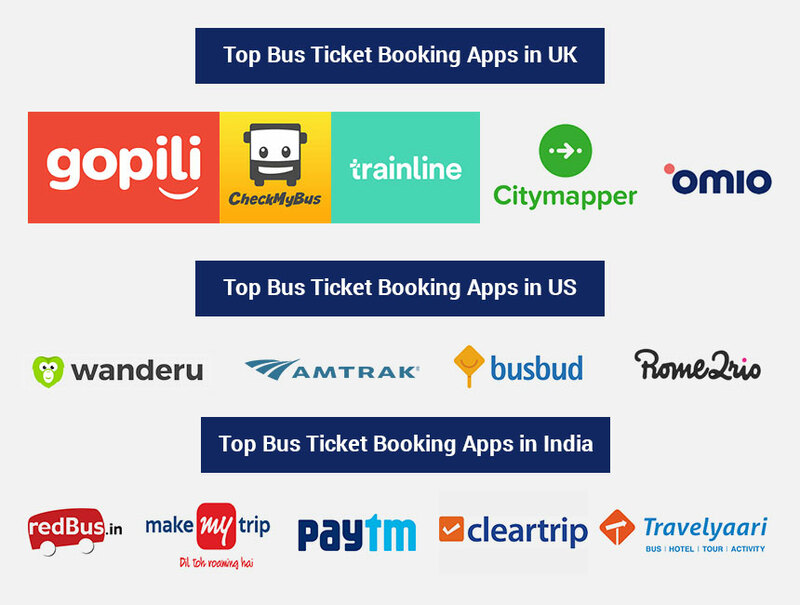 This blog takes you through the entire journey of creating a bus-ticket mobile app as well as enlightens you with some interesting facts and figures concerning this app category. In the past few years, a massive increase has been noticed in the area of bus-ticket booking app. This could be owing to the fact that today more and more users have realized the possibilities these app platforms offer to the audience along with the convenience that comes with it. 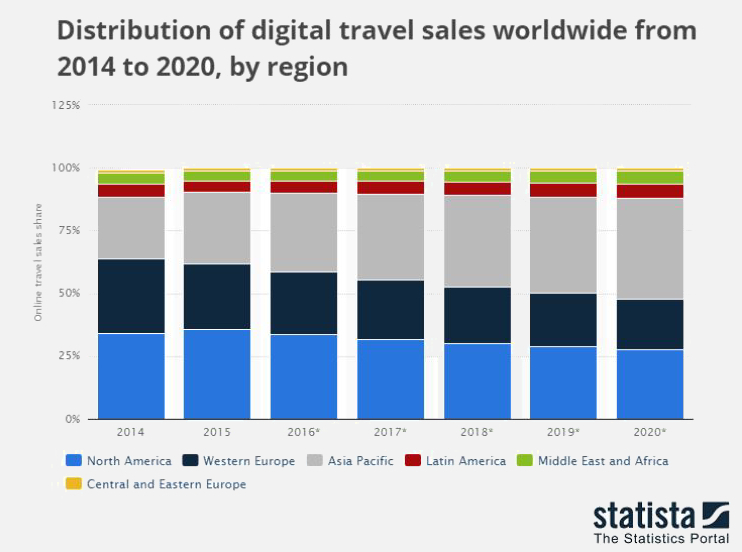 After all, who would want to stand in long queues to book a ticket, then they can do it pretty easily sitting at the comfort of their homes with just a few taps on their smartphones. If you own a bus service company and looking to expand it further by creating a mobile app to reach a larger audience and serve their requirements well, then it is vital to keep your audience’s needs and preferences in mind. 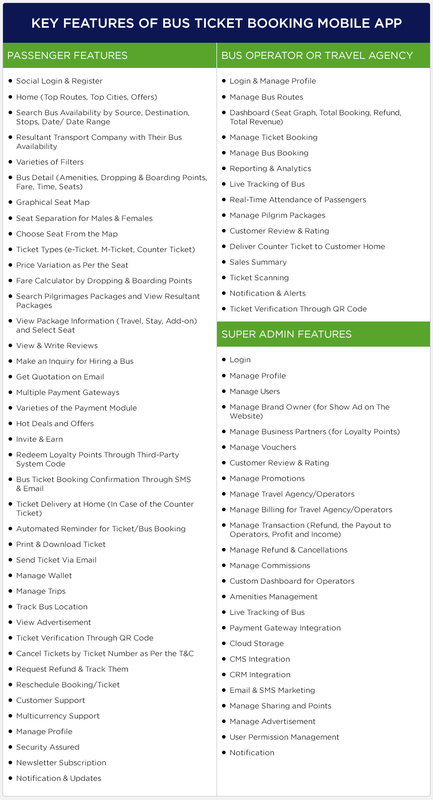 Below we have mentioned the requirements and preference of the users they have with bus-booking apps. 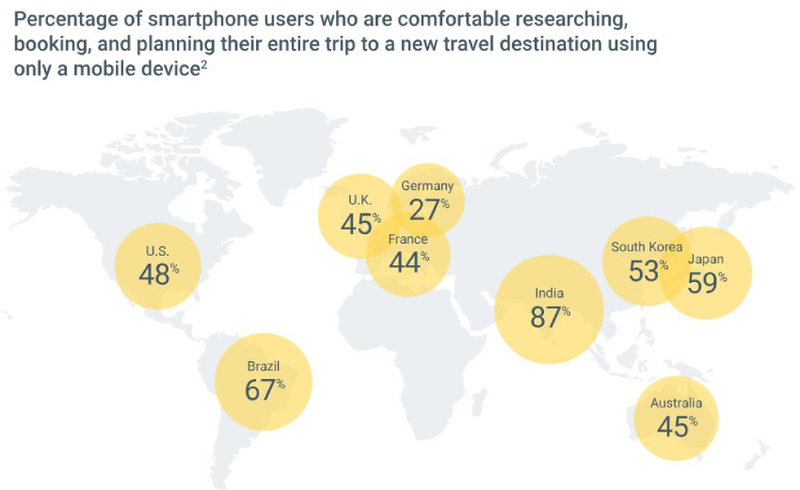 57% of travellers feel that bus service firms that are out there, looking to create a mobile app, should design their website keeping in mind the personal preferences and past behaviours of their customers. 36% of the customers are willing to pay more for the services, which a brand offers, are based on personal preferences and previous behaviours. Around 80% of the customers are willing to self-serve in order to extract the information they require. It has been ages since people have been travelling by buses and now this added service of bus-booking apps has taken their convenience to another level. The process of bus-ticket booking via mobile apps is pretty quick and involves no fuss. In fact, the users have been impressed with the ease provided by the apps that they delightfully suggest this facility to their family and friends too. This has increased the overall usage of the app. In addition, booking the bus service via these bus ticket booking apps also saves a lot of time and efforts on the part of travellers, and this time and energy can be devoted to the more important stuff. Owing to the many benefits that come with these bus-booking apps, today people find the concept really useful. Social Signup: Customers are asked to log in with their Facebook, Instagram accounts. This feature helps users to share their travel information right from the bus app to their social media accounts. Real-Time Seat Chart: Real-time seat chart is shown on the screen of the app when decide to book a seat for a journey. If by any chance you choose to cancel the booking, your money will be refunded. Real-Time Location Tracking: With the availability of this feature, passengers will not have to call the drivers to know about the location and timing of the bus. They can use the online maps to track down the location and estimated arrival time of the vehicle. Co Traveller Management: When you are travelling with any co-traveller like a family member or friend then you can share the details of the booking with them. This way, what a co-traveller is required is to open the app and find the shared details over there. Different Mode of Payments: Various payment modes can be integrated with the bus ticket book app. Therefore, users will not feel any trouble while making payment from their preferred payment modes. Journey Alerts: Customers will be regularly updated about the arrival or departure time of their vehicle via text messages and app notifications. This helps them manage their time well. Ticket Validation: When users pay for their tickets online, they get a QR code in return, that is scanned by the drivers to know the personal details of the passenger. Travellers are also asked to carry ID proof alongside for personal detail confirmation. In-App Chat Integration: This unique feature allows the passengers, drivers and admin for sharing essential update or issue via in-app chat feature. CMS Integration: This feature is one of the most important features as it helps operators in managing static content pages like Contact us, About us, FAQs, Booking page, App privacy guidelines, and many other. CRM Integration: A well-crafted customer relation management functionality is vital for customer care department as services you provide will determine your future. Real-time analytics: Services like Hadoop, Apache Flink, Spark, BigData, IBM, Cisco help to provide real-time analytics of the bus ticket booking app. Marketing & Promotion Tools: This is a great idea to cajole customers in order to enhance your user engagement. You can provide your customers with regular loyalty programs, coupons or offers regularly to motivate them to user your services more often. Google Maps integration: Looking for current location of bus or check the route during transit, Google Maps integration makes these actions more interactive and intuitive. Visual Calendar Integration: Customers look to book tickets for a specific journey, as they have to attend a meeting or a function on a particular date. So, to see the available options on a specific date they must be provided with the visual calendar within the app. Cloud Storage Integration: This feature is necessary, as you will save some regular personal details within the app for future purposes. Hotel & Taxi Booking API: As this functionality is integrated into the app, the app will suggest the nearby hotels and nearby cabs as soon as the users reach their desired location. You will get the basic needs of the journey within the app. Project Manager: This person will be responsible for managing the app development and assigning responsibility to the different departments of app development and their teams. App Developers: These remain an integral part of the app development process. Once you hire a developer (or developers), as per the app platform, then s/he would be responsible for all the coding and other technical aspects. App Designer: The UX/UI aspect of an app is managed by UX/UI designers who are responsible for the look and feel of the app. QA Testers: Once the app is ready, it is important to ensure that it is free of any bugs and errors. 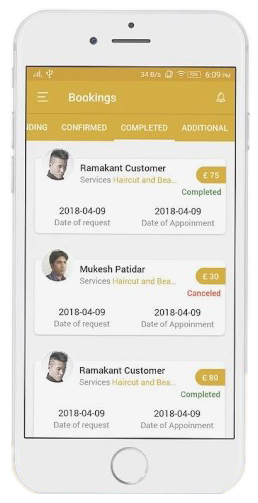 And this is the task performed by the QA Testers, who ensure that the app is smooth and entirely bug-free and only after their approval it is delivered to the client. So, this was the entire set of experts that are required in the Bus Ticket Booking Mobile App Development. 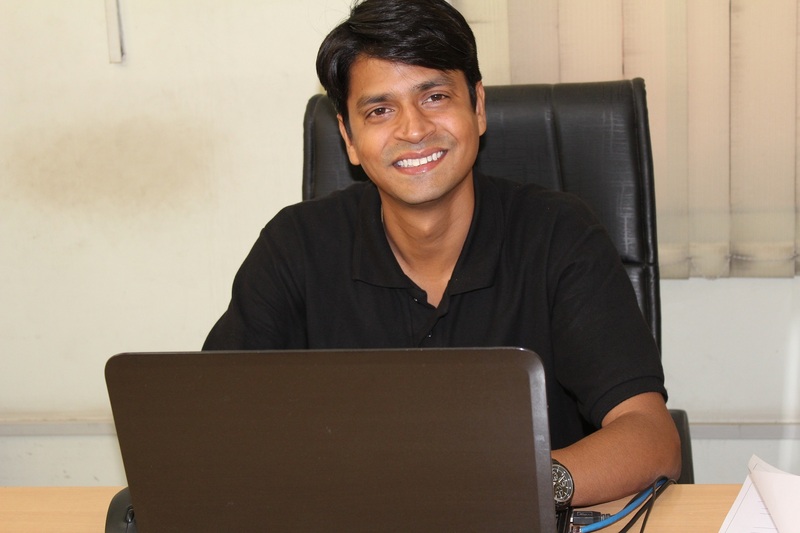 How much does it cost to develop a Bus Ticket Booking Mobile App? While developing an app certain factors come into consideration like the country where it is being developed, choices of the platforms like whether iOS or Android, features, functionalities, UX or UI design, etc. Combining all of these defining factors, the estimate could go somewhere around $15000 to $35000. You can see the difference in the quality of the apps developed by an experienced company and a rookie company. Experience plays an integral part in this industry as it helps developers to develop an app with brilliant customized & robust features that are perfect for your success. Good app developments firms will provide you with professionals that are best at their skills, skilled & knowledgeable designers & developers, QA testers and many more of this luxury. For these particular reasons, you should try to contact a reliable and experienced App Development Service provider.